See JAMB Subject Combinations for All Courses 2019 UTME Here. You can see Jamb subject combinations 2019 for all courses including economics, psychology, accounting, law etc. 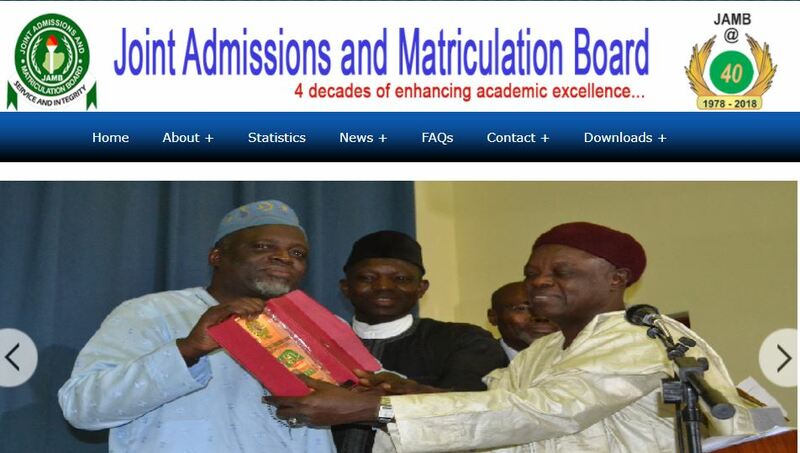 as released by the Joint Admissions and Matriculation Board (JAMB). All candidates seeking for admission into University through JAMB should take note that English Language is compulsory for all and is already an automatic part of the subject combinations. Medicine and Surgery: Use of English, Biology, Physics and Chemistry. Computer Science: Use of English, Mathematics, Physics and one of Biology, Chemistry, Agric Science, Economics and Geography. Biochemistry: Use of English, Biology, Physics and Chemistry. Nursing: Use of English, Physics, Biology and Chemistry. Food, Science and Technology: Use of English, Chemistry, Mathematics / Physics and Agricultural Science. Pharmacy: Use of English, Biology, Physics and Chemistry. Industrial Chemistry: Use of English, Chemistry, Mathematics and any of Physics /Biology /Agricultural Science. Surveying an Geoinformatics: Use of English, Physics, Mathematics, and any of Chemistry, Geography, Art, Biology and Economics. Agriculture: English, Chemistry, Biology /Agriculture and any one of Physics and Mathematics. Crop Production and Science: English, Chemistry, Biology /Agriculture and Mathematics or Physics. Architecture: English, Physics, Mathematics, and any of Chemistry, Geography, Art, Biology and Economics. Urban and Regional Planning: English, Mathematics, Geography and one of Economics, Physics, Chemistry. Estate Management: Use of English, Mathematics, Economics and one other subject. Medical Rehabilitation: Use of English, Physics, Chemistry and Biology. Physiology: Use of English, Biology, Physics and Chemistry. Physiotherapy: Use of English, Biology, Physics and Chemistry. Radiography: Use of English, Biology, Physics and Chemistry. Veterinary Medicine: Use of English, Biology, Physics and Chemistry. Accountancy: Use of English, Mathematics, Economics and any other Social Science subject. Business Administration: Use of English, Mathematics, Economics and any other Social Science subject. Public Administration: Use of English, Government, Economics and any other subject. Banking and Finance: Use of English, Mathematics, one Social Science subject and any other subject. Geography: Use of English, Geography and two other Arts or Social Science subjects. Library Science: Use of English and Any three Arts or Social Science subjects. Political Science: Use of English, Government or History plus two other Social Science/ Arts subjects. Philosophy: Use of English, Government and any other two subjects. Psychology: Use of English, Any three subjects from Arts or Social Science. Social Works: Use of English Language, Mathematics, Economics/ Geography and any other subject. Sociology and Anthropology: Use of English, Three Social Science or Arts Subjects. Industrial Relations: Use of English, Mathematics, Economics plus one other relevant subject. International Relations: Use of English, Economics, Literature- in English and Geography /Government / History. History and International Studies: Use of English, History /Government and any other two subjects from Arts & Social Science. Anthropology: Use of English, Any three of History, CRK/IRK, Geography, Economics, Literature in English and French. Law: English, Literature, Economics and any other Art Subject. Civil Law: English Language and Any three Arts or Social Science subjects. Islamic / Sharia Law: Use of English Language and Any three Art or social science subjects including Arabic or Islamic. please is it possible for someone to write Home Economics in jamb as a subject. I have this on my neco result use of English,maths,econs,govt,civic,commerce,.i want to study political science, which combination I will do in jamb. I think I should go for use of English, govt, Econs and civic. Hi I Want To Study Igbo Language Pls Can I Go With English, Igbo, Government, C.R.S As A Subject Combination In Jamb? Hi i have this on my weac result,english,maths,bio,chem,phy,civic,tourism,and agric.i did nt write computer they refuse me nt to write without a laptop,and i whant to study computer science both hard and softwear computer.what should i register for my jam?and am good to in? please hlp me. Please, I want to study Islamic, but I don’t have it both Islamic and Arabic in my o level but I have the rest of the subjects without Yoruba, can I be offered in unilag. Can I study agric-econs with this jamb combination English,economics,biology and agric or which kind of course can I go for, with this combination? my subject combination is maths ,eng,gov,civic ,pls wat course is good for that? pls sir I want to study political science which subject can I choose in jamb? pls my subject combination is English, economic, civic and commerce can study political science? For me Frank Tsegba, just study Economic it’s also good my sister. can i apply for masscomunication without literature in my o level and jamb result? i mistakenly chooses eng, lit, crs, gov instead of eng, lit, econs and any other social science subject and I had 260 in jamb to study law…. pls due to d mistake in subject comb. wil I b given d course to study? Please I want to study accountancy can I choose English mathematics economic and commerce please. From where did it say candidate must choose Economics to study Law because I can’t find it in UNN or JAMB. Please can I go for Sociology/Anthropology in Fed uni Otuoke as 1st choice institution(you know fed uni otuoke offers sociology/anthropology under art department not social science) and civil law in ABSU as 2nd choice with Eng, Econs, literature and govt as jamb combo. Sorry you need physics too??? physics should be in place of biology since its an egineering course. please sir can I study political science at unn with subject combination of English,CRS,GOVERNMENT AND ECONOMICS?? I have have a subject combination on my result for my jamb exam (English, physics, biology and agriculture.) my score is 257, please any admission hope for me. Wt just dat two u can’t go for anything.. U need more two subjects to go for anything. You Can gain än admission,God willing. My combination is English, government, arabic,Islamic and I want study linguistics or mass comm. English or law . what is my chances please I am indeed of your help. I got 179, but took English, chemistry, biology, agric and I want to study Agric econs. Which course is suitable with these subjects in poly and which poly is suitable. Pls, can English, physics, maths, and biology go for microbiology? My subject combination is English,Gov.t,Lit-In-Eng,&Crs.Can I study Theatre Art? Based on which system did you calculated your point to be 54? Pls i scored 183 and i want to study economics in uniport is there Any hope 4 me? @sharon,it all depends on your O’level result.If you had grades such as A’s,B’s….$peradventure your institution of choice welcomes the new jamb grading system,then you are good to go. @Agwu,your combinations are right coz gov.t is indeed part of social science subjects. Is dia any hope 4 me?